Once upon a time, to have music at your home once meant endless cables running under carpets or around door frames. Now, we have wireless speakers and we can achieve the same end with minimal fuss. 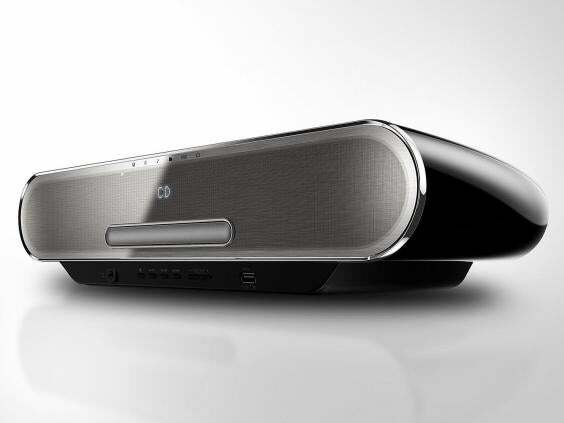 Bluetooth, wi-fi or both, is needed to connect speakers and amplifiers. Wi-fi reaches further and means that now you can play the same music everywhere or different tracks in each room. Bluetooth is a more portable device (handy for the garden or the park) but if the phone you’re streaming from rings or receives a text, the music is interrupted. Look out for Spotify Connect, a simple way for Spotify Premium subscribers to control music from their phone or tablet – and it overcomes the phone call interrupt issue. It’s on all the speakers here except Sonos, which has its own solution: launch Spotify and choose Sonos from the speakers listed at the base of the screen when you play. There’s no such capability for Apple Music, for instance, but we expect better integration in future. Most multi-room systems work seamlessly with other speakers from the same brand but not at all with rival brands. Once you’ve got a Sonos speaker, say, it would be harder to make a Bose one fit into the system. 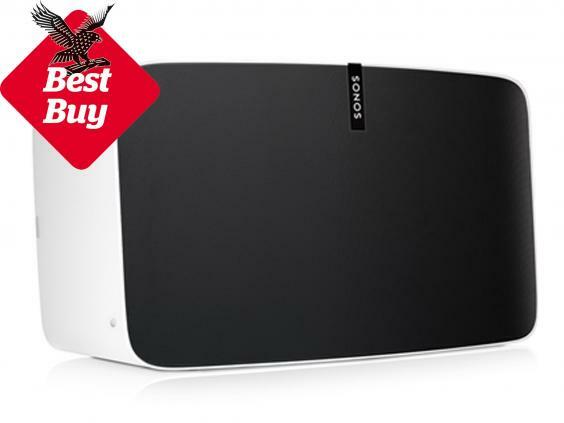 In each case we’ve picked a good standalone speaker, which, when grouped with others in the range, forms an excellent multi-room system – generally, bigger speakers would cost more, so the SoundTouch 10, the cheapest here, still has pricier models in the range, while Sonos has cheaper speakers than the Play:5. Connections vary from Bluetooth to wi-fi to both. Sonos eschews Bluetooth, but most others have both. The Sonos system works brilliantly, not least because the speakers link together wirelessly in a mesh so the signal is more powerful. 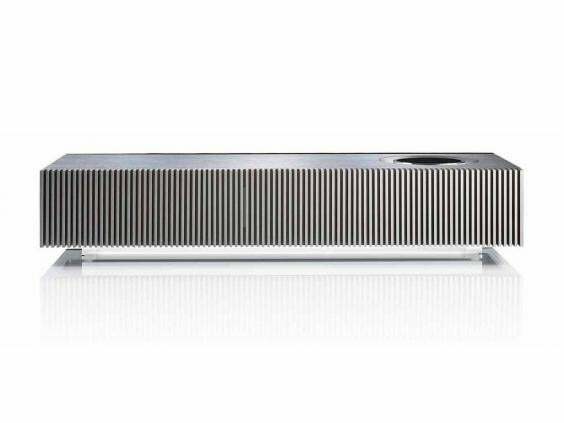 A new speaker, the Playbase ($980), is a slim speaker which sits under your TV and delivers great TV sound. But it’s also good enough to be a music hi-fi system on its own. You can add a sub-woofer (also $980) for better sound, or a pair of Play:1 speakers ($280 each) at the back of the room for a surround-sound effect. Sonos is absolutely painless to set up (just plugin and launch the free app, pair speaker to app and you’re pretty much there) and would work seamlessly, including with services such as Spotify and Apple Music. 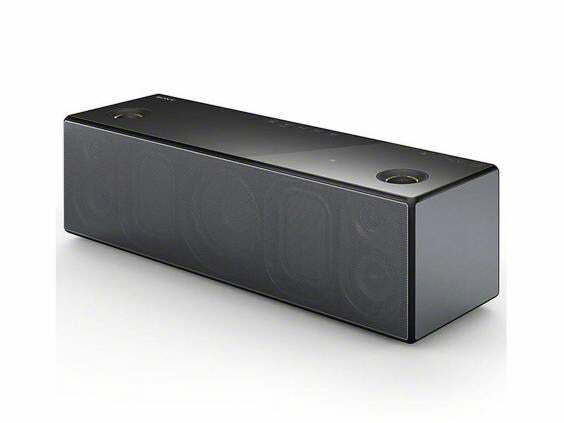 The recently improved Play 5 speaker ($700) is also great and works as a music system on its own. One more thing: Trueplay is a piece of software in the Sonos app which lets you tune your speakers for your specific rooms, and the improvement in sound quality will be striking. The SoundTouch 10 may be small but has big, clear sound, and is very pleasing. A smartphone app makes connecting multiple speakers easier. 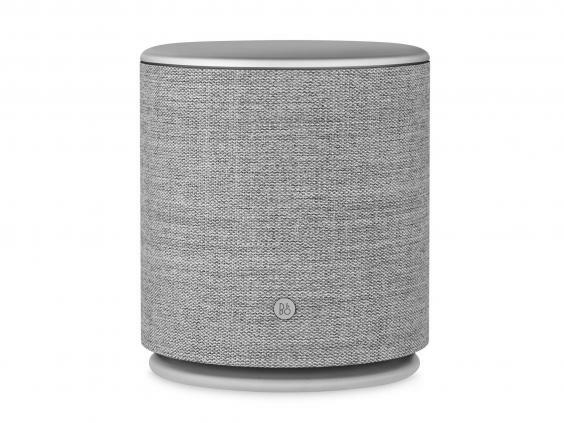 The speaker has a versatile shortcut system: six buttons on the unit, the remote and the app can all be configured to an internet radio station, playlist, artist or even a favorite song. It’s compatible with other SoundTouch models including the room-filling SoundTouch 30. Denon’s system is quick to set up using the Heos app. It helps you to create multi-room zones. A distinctive teardrop design of some of the speakers is very attractive. The biggest model in the range (Heos 7 HS2) is powerful enough to fill a big space and the smallest one (Heos 1 HS2) has humidity resistance so it works in a bathroom. Denon’s great musical heritage should mean all the speakers sound great. They do. It is a true wireless and portable system – if you opt for the rechargeable battery pack. 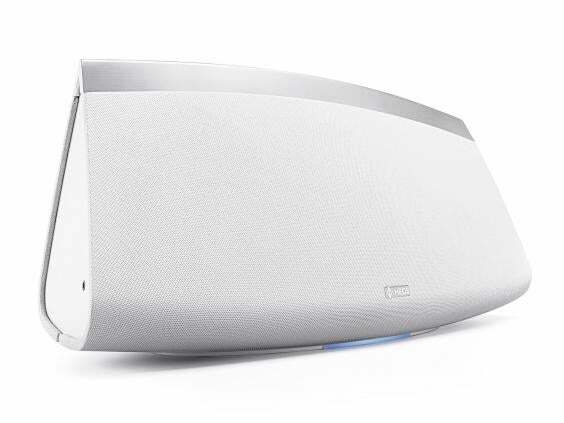 For multi-room, add the R1 speaker ($195) to the mix. Undok app – a third-party app which also appears on systems like Ruark’s controls the system. App is available on both iPhone and Android. As you would expect from radio maestros Roberts, DAB and FM radio tuners are built in. The speaker is smallish but delivers a big sound and works extremely well-sharing music to its slightly less smart R1 sibling. Great for people who also want to use the system as a DAB radio. The color screen on top is controlled by direction buttons and is simple to use. The Panasonic ALL series play great together and can send music round the house via wi-fi and Bluetooth. This unit also has a CD drive built in so that you’re not limited to digital music from your phone or tablet. 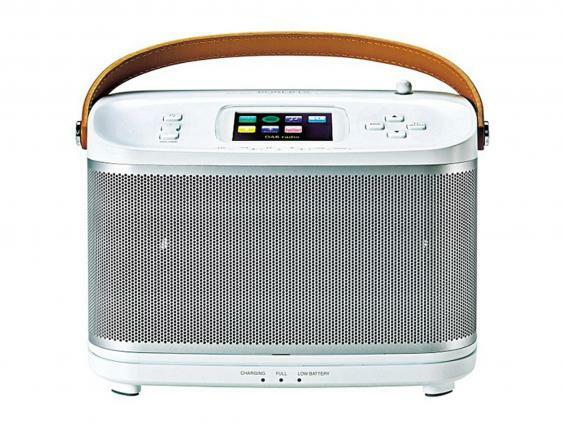 There is a DAB radio tuner and 4GB of storage for saving up to 25 CDs digitally for instant access. An app for iPhone and Android makes set-up straightforward, and playing music from multiple speakers is easily achieved: just drag one speaker icon on top of another in the app. The Panasonic series works well together, delivering clear, authentic sound with a wider feel to it than you’d expect from looking at the speaker. The Sony has a premium feel that matches the price. Thankfully, so does the sound, which is fantastic. It’s quite big (430mm long) so not easily portable but its statement looks mean you won’t mind it being a noticeable addition to your living room. Sony’s speedy and efficient SongPal app (for Apple and Android) is how you connect other Sony speakers. This speaker is capable of hi-res audio tracks as offered by some streaming services (like Tidal, for instance). 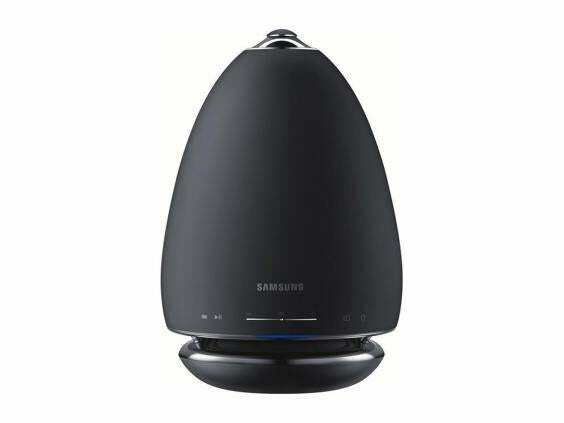 Samsung’s speaker system looks like no other, designed well to provide sound which is dispersed in all direction – handy if you’re listening to music as background while you’re doing other things. It’s easy to connect the speaker using a phone or tablet (Android and Apple), via the straightforward multi-room app. The unit also includes a woofer which fires sound downwards. Build quality is strong and, if you like the look of the speaker, this is a decent choice. Add another R6 to create the multi-room effect. 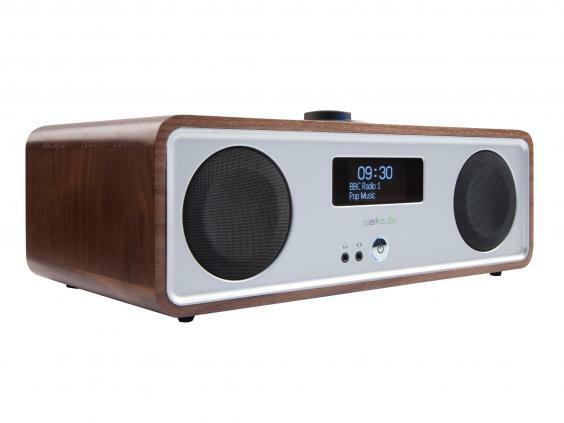 British audio brand Ruark makes beautiful, skilfully crafted machines which look stunning. The R2 is compact and sounds tremendous. It’s also very enjoyable to use, with Ruark’s trademark dial control on top which adjusts volume, controls playback and changes radio stations, for instance. For multi-room add another R2 and synchronise them. The R2 is a real head-turner. And what’s more, it’s an excellent radio on its own with DAB, FM and internet radio stations available. The Mu-so is a one-box speaker which is heftier than most and looks pretty stylish. The solid build, excellent components and details like the aluminium heat sink contribute to the tremendous audio which is loud and bassy, but with clear vocals and soaring melodies. It’s far from cheap but worth every penny. Add more Mu-so speakers such as the more diminutive Mu-so Qb, which sounds almost as good and costs a lot less. The cylindrical M5 delivers strong, beefy stereo sound from a compact speaker with plenty of bass. The sides are clad in an acoustically transparent fabric so that the sound isn’t muffled. The sound comes from all sides of the circular device. The lid of the M5 rotates to adjust the volume, and you can press it to pause or play music. You can add extra M5s, though you can’t connect two as a stereo pair as you can with the Sonos Play:1 and Bose SoundTouch, say. For the best combination of sound quality, simplicity of set-up and sophistication in use, Sonos remains top of the audio tree. The Naim Mu-so looks and sounds truly spectacular, though it’s not cheap and the Ruark R2 is a classic, great-sounding player. 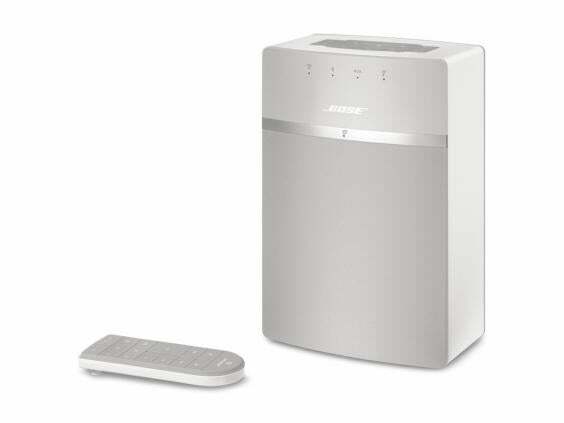 Bose remains a name to be reckoned with and its SoundTouchspeakers are versatile.